Synthetic biology can give detailed insight into our metabolic processes and introduce new interactions with our body. This work proposes these interactions as a new form of cooking, to tailor an emotional experience for a specific person at a specific time. 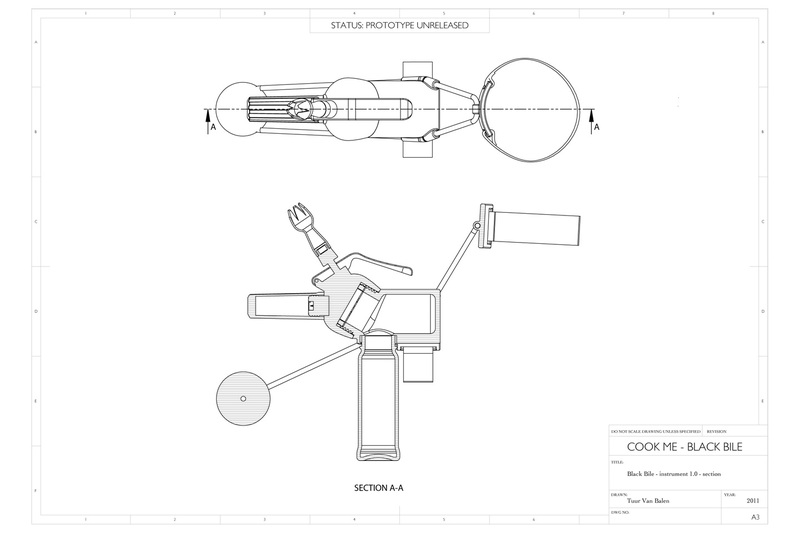 Cook Me - Black Bile proposes a recipe for controlling the feeling of melancholy. Using synthetic biology, bespoke yeasts are designed that measure chemicals in the blood and alter levels of serotonin accordingly, making one feel less or more melancholic. To do so, the dish is cooked from a leech that has first fed itself on the body. 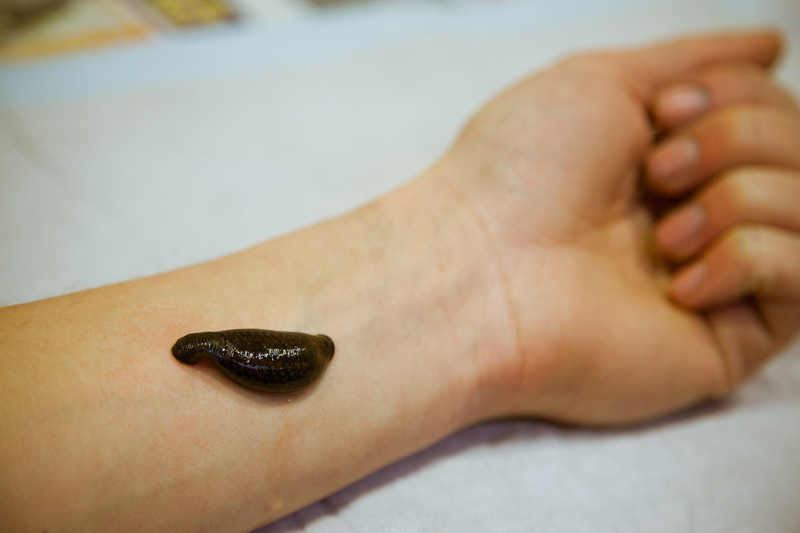 An instrument specially designed for this recipe allows the leech to feed on the forearm and is then used to cook a blood mousse from the parasite's body. 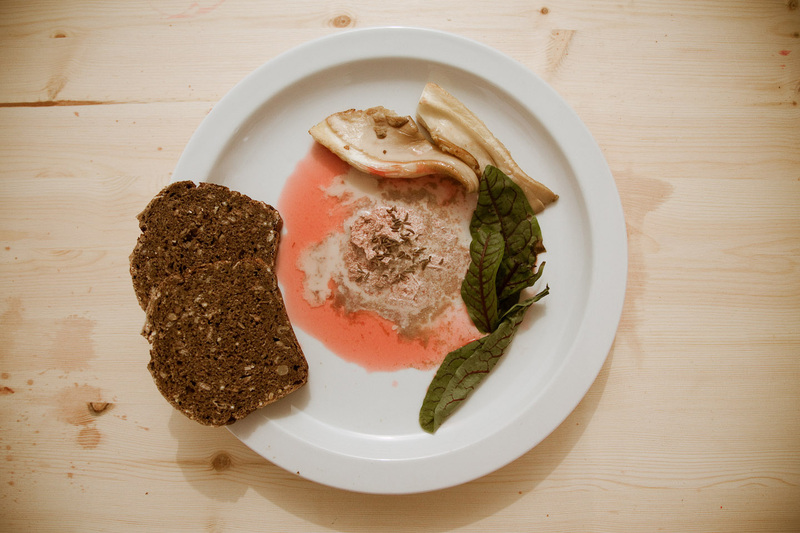 The blood mousse is accompanied by oyster mushrooms, a redcurrant sauce and blood sorrel. The recipe is inspired by Hippocrates’ Four Humours theory that sees the body as an entity comprised of four basic substances: yellow bile, blood, phlegm and black bile. This theory inspired bloodletting: a common medical practice aimed at restoring both physical and mental health by bringing these bodily fluids back into balance. Each substance is linked to a specific temperament, black bile, the fictional of these four fluids, evokes the humour of melancholy. The work examines the space between ancient beliefs and future unknowns, between nonsense and science, the kitchen and the pharmacy. Apply the leech on forearm. Encase the leech with the cooking instrument. Leave until the leech falls off: about 2h. 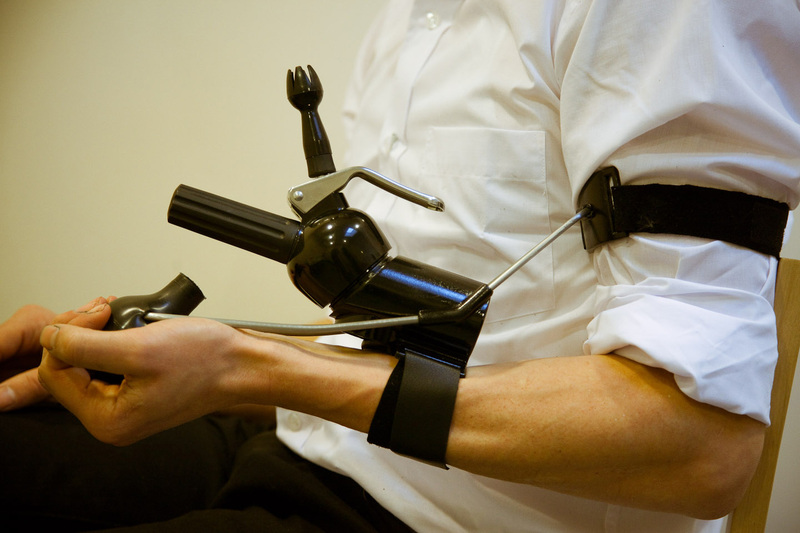 Pump every 10 minutes to increase blood circulation. When the leech falls off, bring it back into the cooking instrument, add the marinade and leave to incubate for 3h. Press the berries through a cloth to obtain the juice. Season with sugar to taste. Saute the mushrooms briefly in rapeseed oil in a pan on high heat. Season with salt. Heat the cooking instrument in a water bath at 85°C for 5 minutes. Heat the cream and add into the instrument. 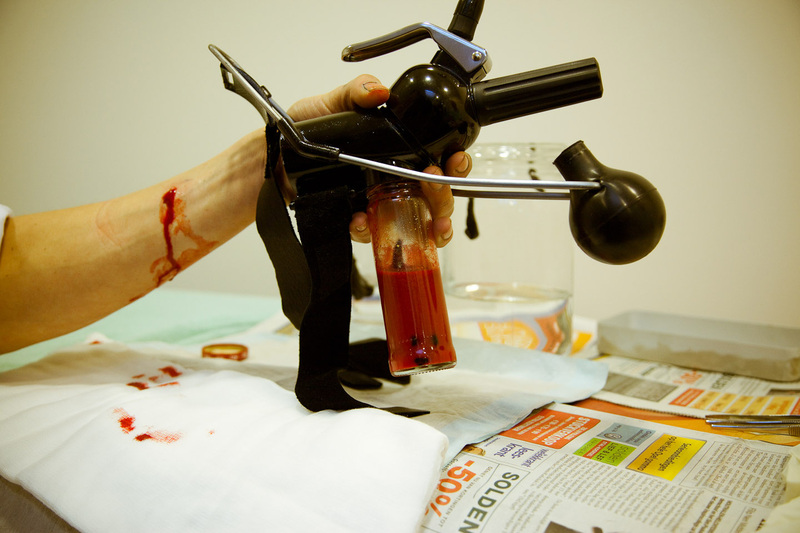 Add a capsule of nitrous oxide (laughing gas) in the instrument to bring the leech humanely to it’s end. Plate the mousse immediately and sprinkle with the vinegar and caraway seeds. 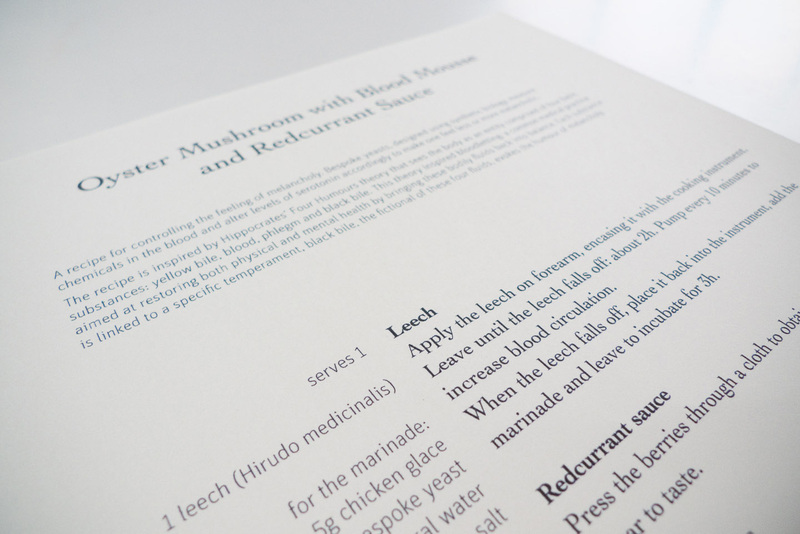 Plate the mousse with the redcurrant sauce, the sauteed mushrooms and the blood sorrel leaves. Serve with dark rye bread.